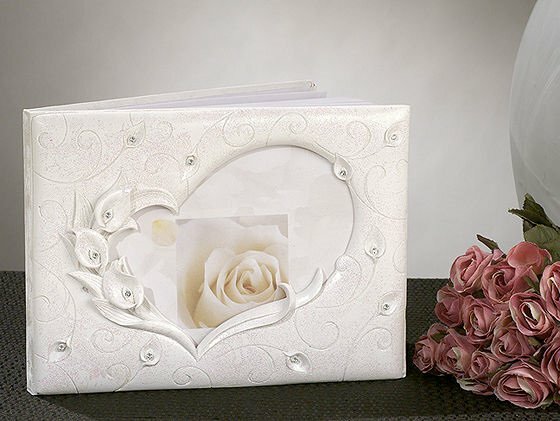 With stunning crystal accents and a beautiful calla lily design, this guest book will become a treasured keepsake after your wedding day! 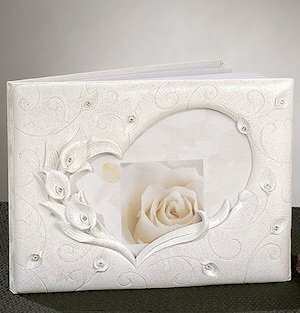 The 8" by 6" white book has a heart-shaped opening on the textured cover that can be used to display a favorite photo or use as-is with the beautiful rose insert. You may choose to have guests who visit your future home write a greeting in this book for years to come.